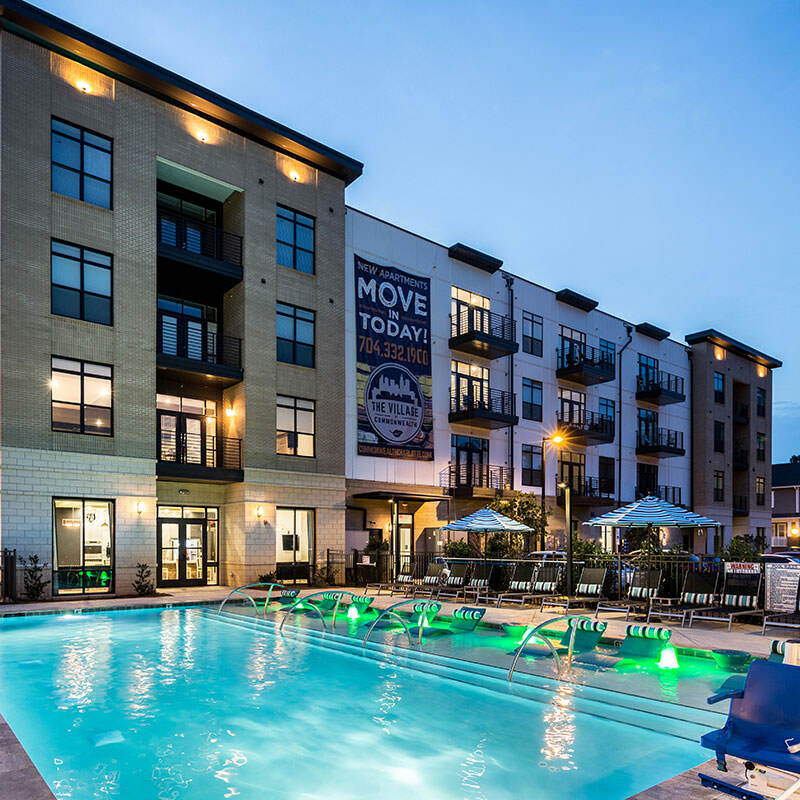 Welcome to the Village at Commonwealth, Plaza Midwood's top apartment community! The Village at Commonwealth is located in Charlotte’s Plaza-Midwood district, one of the city’s most popular urban neighborhoods. Our community is the next generation of apartment living that will deliver all the benefits of a convenient, urban location without sacrificing the interior and exterior spaciousness associated with suburban developments. The community streetscapes feature tree-lined, pedestrian-friendly sidewalks, shared entry courtyards with outdoor kitchens and gathering spaces, wide stoops, private and semi-private pocket-parks and even resident garden plots. Residents will also have access to an array of modern indoor amenities such as an indoor Jacuzzis, men's and women's saunas and steam rooms, a 2,500 square-foot fitness facility, separate group fitness area, a two-story lounge with expansive demonstration kitchen, billiards, games, and much more. Experience Plaza Midwood living like never before- come home to the Village at Commonwealth, a Northwood Ravin signature community.